A remarkable first novel, a feat reminiscent of William Styron's Lie Down in Darkness, likewise published in the author's twenty-sixth year. Not only are the stories of both novels carefully designed, but every sentence in each one is crafted with care." Nowhere is the theme of personal redemption and the hard-won understandings that precede it more powerfully drawn than in M. Allen Cunningham’s riveting debut novel, The Green Age of Asher Witherow…a brilliant story from one of America’s most promising voices. 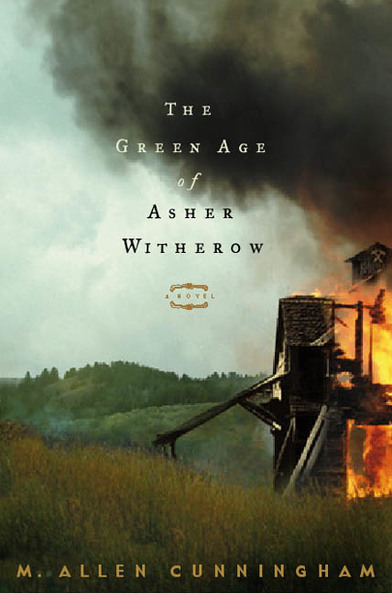 The Green Age of Asher Witherow is a rich, gothic tale of a young soul coming of age during the explosive boom and bust years of an immigrant coal mining town in nineteenth-century California. In this powerful debut, M. Allen Cunningham takes us into a time and place at once gritty and magical, when the future seems filled with promise but where the day’s labor is bone breaking, numbing and always dangerous. "From the very first pages I knew that I had something special in my hands...I was absolutely immersed in another time and place. I could not bear to put it down... The Green Age is gritty and magical, fantastic and authentic. It is one of the best books I've read this year."